:: Hello World!!! :: I stay here. So will the animals. - Dreams are what you wake up from. 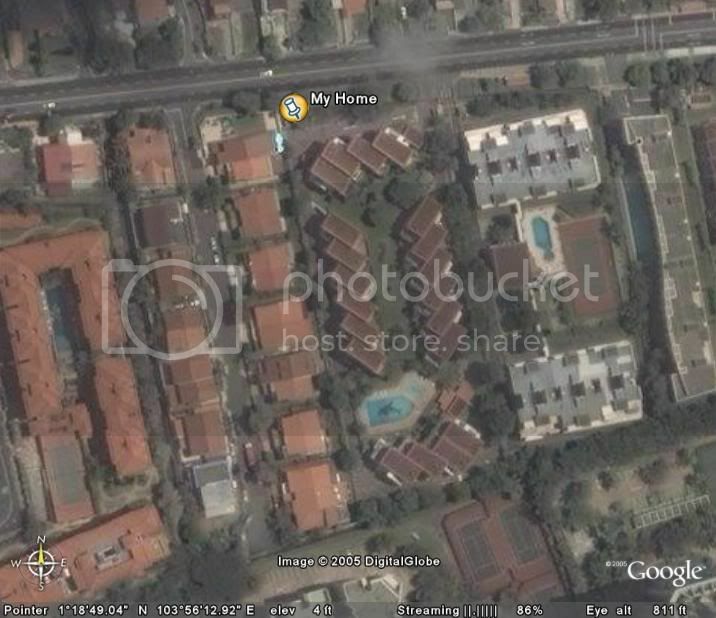 i was googling singapore and i realised there's quite alot of private housing with swimming pool ah. i managed to find where i live.. and also, to my horror, i found cld see my commando camp! even can see the army vehicles laid out in my camp. terrible.. later terrorist see liao.. how? i think the pictures are quite dated. Eh, not afraid like Starcraft? Nuclear Bomb Detected. Erm I didnt pinpoint the exact location la la la. .. do you wear nothing when you are home ALONE? this side of the island got zoo meh? now we can see LKY's house, and the Istana as well. my pool has two dolphins! LOL! so cliche, but where walls have ears, skies now have eyes. "I see the eye in the sky, looking at you... I can read your mind"